Last year Old Forester got started with its new Whiskey Row Series of Bourbons with its 1870 Original Batch Bourbon, meant to recreate the company’s batching process that it introduced in that year. 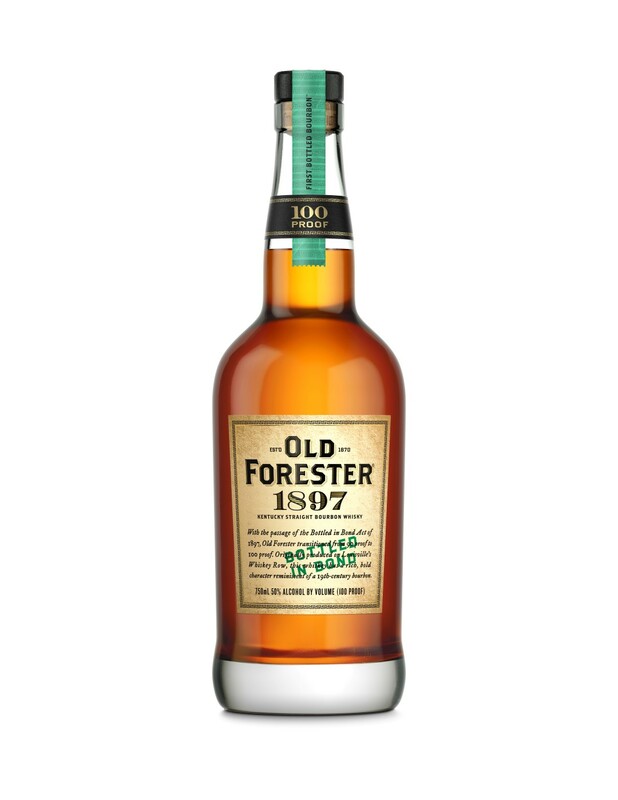 Now comes OldFo’s 1897 Bottled in Bond, the next in the series, is bottled in honor of the 1987 Bottled-in-Bond Act and a recreation of Old Forester’s production at the time. Lightly filtered and stored in a federally bonded warehouse for at least four years, it is bottled at 100 proof (as specified by the BiB regulations). This is a blazer of a bourbon, with an instantly, notably hot nose. Push through the raw alcohol notes and you get lumberyard, gingerbread, and butter cookie notes, all in a row. On the palate, the heavy alcohol character takes a while to dissipate, but eventually it opens with either time or a bit of water. Here you’ll catch notes of (more) gingerbread, buttered toast, cloves, and plenty of wood notes. Over time, banana notes and some raw cereal character emerge. The classic Bourbon vanilla notes are a bit dulled here, giving this whiskey a more rustic composition, but that may just be what Old Forester had in mind in whipping this whiskey up. It’s (already) not my favorite in the lineup, but as a look back to the past, it’s a worthwhile experiment. I love this bourbon. Agreeable, drinkable. A delight to body and soul.